What Is a Fluke Meter? A multimeter, sometimes called a multitester, volt-ohm meter, or VOM, is a device for measuring electrical values. They are used for testing and finding electrical and electronic problems in a wide range of devices. Multimeters can be used for testing batteries, household wiring, electric motors, power supplies and other common household devices. Originally, scientists used a type of ammeter called a "galvanometer" to measure current. Although galvanometers were good for lab use, field use was very inconvenient. The first multimeter is attributed to a Post Office engineer named Donald Mcaddie. The first Avometer, called AVO because it measures amps, volts, and ohms, went on sale in 1923. As electrical and electronic systems advanced and became more complex, various companies produces variations on the concept of a single tool to measure a wide range of electrical properties. Multimeters are available as digital units or analog units, depending on the manufacturer and preference of the user. Digital multimeters are usually more accurate than analog meters. The accuracy of a digital meter is determined by the number of decimal points to the right of the meter's decimal points. Most hand held digital meters are accurate to within 1/2 of a percent. Laboratory grade bench mounted multimeters are accurate to within 00000005 percent. Modern multimeters can measure a wide range of properties including voltage, current, conductance, inductance, resistance, capacitance and frequency. Some meters can measure temperature, duty cycle and can indicate circuit continuity by beeping when a circuit has been completed. Multimeters are available as handheld units or as bench-mounted units. Bench-mounted meters are usually more accurate than handheld multimeters. Handheld meters are more portable, but usually at the expense of accuracy. 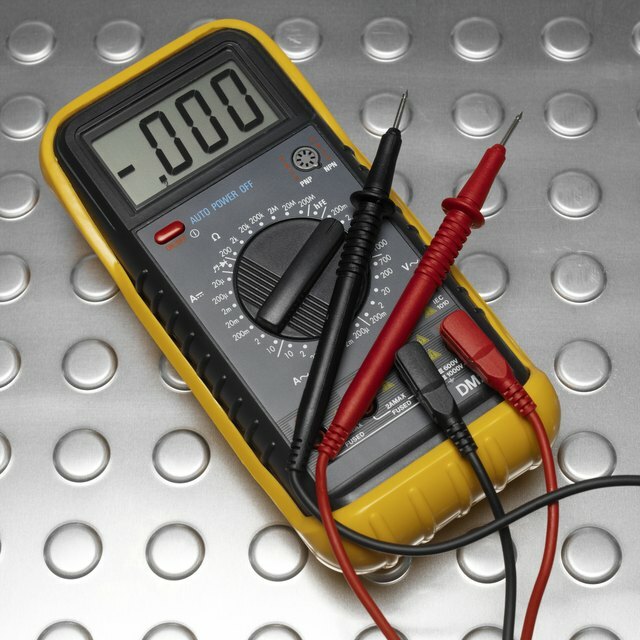 A number of accessories are available to assist in using a multimeter for testing. Accessories can include probes, leads and clamps. Multimeter accessories are usually used to either help a technician reach a circuit for measurement or to help the technician keep the probe in place for continuous measurement. The type of meter selected must match the voltage levels of the electrical device or installation being measured. This isn't just a matter of an expensive low- or medium-voltage meter being destroyed by being connected to a high voltage installation; it is a matter of personal safety. Technicians have been injured or killed by connecting the wrong type of meter to a medium- or high-voltage circuit. Multimeters are rated as follows: Category I for testing electronics; Category II for household and appliance loads; Category III for smaller industrial installations and commercial lighting applications; and Category IV overhead power line testing and testing of residential and commercial mains feeds.